Hi everyone!! Super, super quick post today. 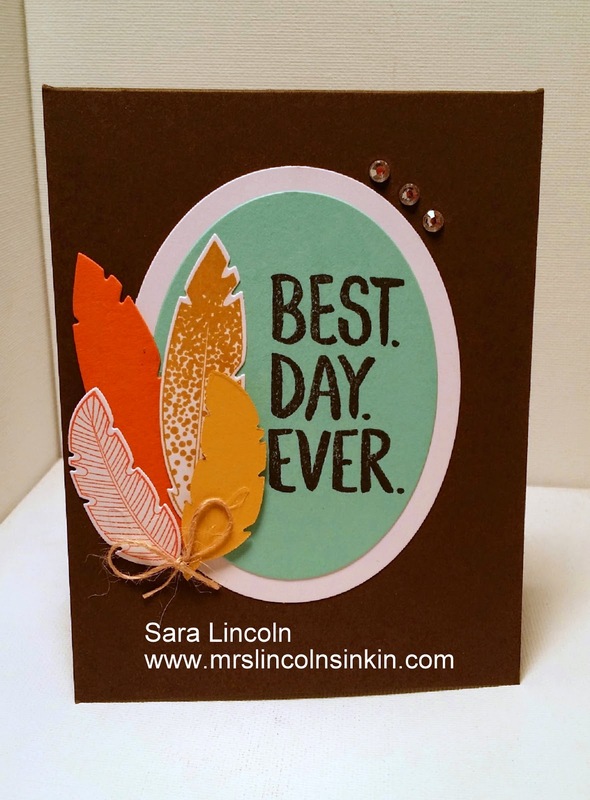 Just wanted to share with you this card that I made using the Four Feathers stamp set and coordinating dies. This is a card that you could absolutely use as a masculine card. My card uses Early Espresso for the base and then I used the Oval Framelits with Whisper White and Coastal Cabana.